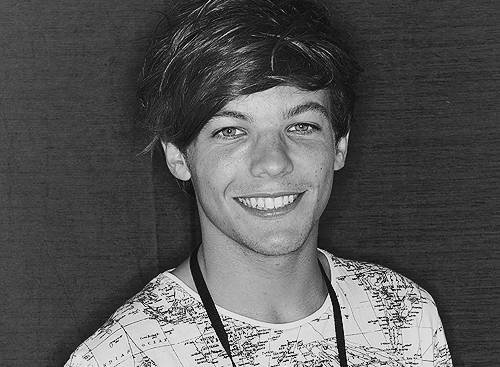 Louis Tomlinson - Black and White. . Wallpaper and background images in the louis tomlinson club tagged: one direction 1d tumblr ♥ random various fan art edited louis tomlinson black and white. This louis tomlinson fan art might contain retrato, tiro en la cabeza, primer, headshot, primer plano, en la cabeza, and closeup.